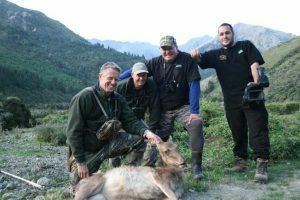 Howie Morrison and the team from Hunting Aotearoa visited Glazebrook last week to experience a spring hunt in the Marlborough high country. Superb weather greeted the group who saw Glazebrook at its best. 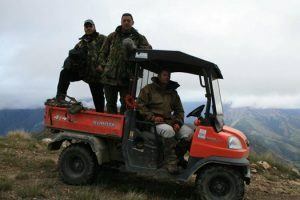 As well as checking out the stunning scenery they enjoyed an awesome day hunting taking a wild boar, fallow, goats and red deer while filming all of the action. 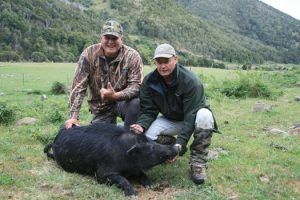 Howie was lucky enough to have a 160 lb boar walk past the lodge before he had his boots on! This set the scene for a really enjoyable day in the field. After filming a range of animals as well as the magnificent surroundings, a yearling red hind was taken for meat late in the evening and this capped off a superb visit.